Energysolving is constantly focused on developing innovative and patented solutions for responsible management of the heating in any kind of building through energy-saving systems. Solutions are suitable not only for new buildings but above all for the retro-fitting of existing heating systems where so far it has been more difficult to reduce the energy consumption. The highest energetic costs originate from heating that is often managed by obsolete technologies. Through the optimization of heat management with responsible control, energy savings higher than 50% can be achieved with a very short return on the investment. Investing in saving is convenient! Energysolving systems, all based on the most innovative technologies, put the control of the heating back into the user’s hands, in order to obtain the most efficient control in terms of energy consumption, consequently reducing utility bills. All systems are operated in a simple, practical and intuitive way: control commands can be sent through any wi-fi device (smartphone, tablet, or PC) from anywhere via Internet with no expense. The technology of Energysolving deeply enhances user efficiency, optimizes the energy balance, generates big savings on heating bills and assures maximum comfort, extreme practicality and an easy-to-use system. Thanks to the rational and conscientious use of energy, emissions of CO e CO2 in the atmosphere are significantly reduced, improving the well-being of everyone, while reinforcing the “virtuous circle” that links energy-saving with environmental protection. Energysolving provides solutions to directly control your heating system, allowing you to decide where, when and how much heat you want, as well as choosing the temperature of each single room you want to heat. 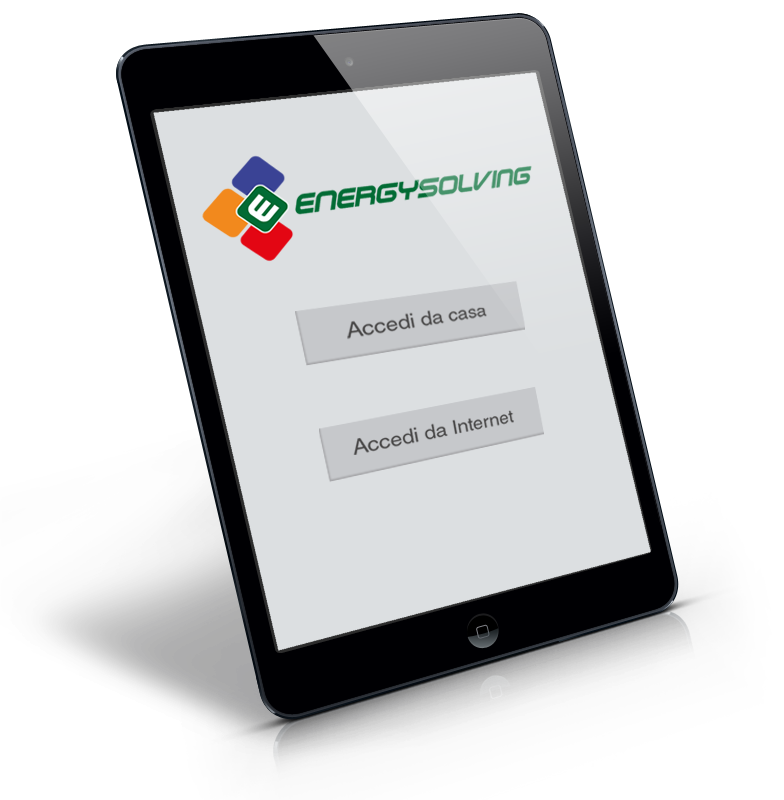 Besides being always involved in improving the performance of its own systems, Energysolving provides technical support, to customize its products in order to guarantee the compatibility with the large variability of the existing heating systems installed. For any type of autonomous heating system: apartments, houses and villas up to 16 rooms. For centralized heating systems of non-residential buildings, such as community centers, schools, gyms, offices and industries. For centralized heating in residential buildings, it allows for individual management of the heat in each single apartment in the condominium and also provides accurate cost repartition among all users. A new compact control component for manifold-type heating systems that avoids masonry work of the manifold cabinet, thereby reducing installation time and cost. "I have a big single-home heated by an LPG boiler. Some years ago, in order to reduce heating expenses that were becoming mind-boggling, I accepted the advice to install miKroThermic. From the beginning the bills have been drastically reduced and have became 'reasonable' and sustainable. I have recently replaced the LPG boiler with a heat pump and I also have upgraded miKroThermic to the new version that can be remote-controlled from outside, via Internet. I'm really satisfied and I can testify that miKroThermic is a worth-while investment because it pays for itself in a very short time and continues to generate savings and benefits year after year. I highly recommend it to everyone. Moreover, speaking from an engineer’s point of view, I have finally found a product really useful and also very reliable! " With its user-friendly patented interface, you can learn how to use it without reading any manual. All systems are extremely easy and intuitive to operate. You can decide in any moment which rooms you want to heat, when, and at what temperature. The systems can be easily remote-controlled from anywhere, either inside or outside the house, with any wi-fi equipment, monitoring in real-time the effective savings. All Energysolving solutions integrate perfectly with existing heating systems, as well as with other energy sources – such as photo-voltaics and/or solar thermal – whether already installed in the building or planned for the future. 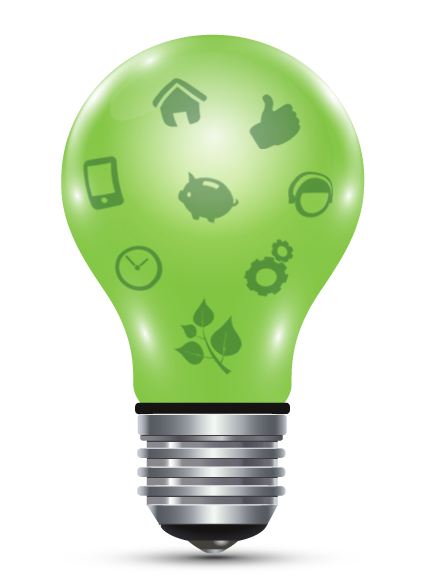 To invest in our own energetic saving, it upgrades the comfort as well as the value of our home. Energysolving offers products absolutely affordable to every family, that easily guarantees a savings of at least 50%, and allows the user to invest in effective & enduring solutions. Thanks to the rational and conscientious use of energy, emissions of CO e CO2 in the atmosphere are significantly reduced, improving the well-being of everyone while protecting the environment in full respect of the Kyoto protocol.